So, I mentioned in a previous post on the debt ceiling that my wife and I were expecting the birth of our first child. Our son, Guy William, was born this past week, and I couldn’t resist sharing our news. His namesake is my friend Guy Hughes, who died tragically five years ago in a climbing accident. Guy was a tireless advocate for global justice, and I have no doubt that he would have fiercely been defending the needs of those suffering from the famine but with organizational panache, sensitivity to the inherent humanity of the people in the region, and appreciation of the wider currents in local and global politics that shape these unfolding events for both good and ill. I suppose the birth of our son and the famine in Somalia are coupled in my mind since a disproportionate share of those affected by the current drought are children. Maybe it is a little maudlin, but I have a new appreciation for the lengths to which people will go to protect their children. So, with these thoughts and associations, in my fourth post on the crisis in the Horn, I wanted to write about the region’s long-term needs and how to transition from crisis management to conflict resolution. In my first post, I assessed the role climate change had played, if any, in the current crisis. In my second, I examined the drought signal and politics as causes of the famine. In my third post, I focused on what was needed in the short-run in terms of emergency finance, access, and sources of food. This one examines conflict resolution. Because I’ve been too long-winded in this post (shock! ), I’ve got a fifth post in the works on the future of pastoralism. The political troubles of Somalia have lasted long enough that whole generations of people have been displaced for the entirety of their lives. Indeed, the refugee camps in Dadaab, Kenya — which were built for 90,000 and are now swollen to 440,000, mostly Somalis — have been in existence for 20 years. Together, recurrent drought and Somalia’s failed state make the country chronically vulnerable. With the mass exodus of refugees, those problems cannot be contained within Somalia. Kenya and Ethiopia have also been buffeted by the drought but have in place better emergency response measures to weather the crisis. While a well functioning state in Somalia is a distant prospect, there may be a road to a more stable Somalia, which would serve the region and the world well, perhaps leading to fewer instances of piracy, terrorist attacks like those in Uganda last year, smaller numbers of refugees, and reduced demands for emergency relief. In my second post, I argued that drought was a major driver of the current crisis and we should be careful about over-emphasizing the political role. That said, compared to the climate, governance failure in Somalia may potentially be more tractable to human intervention (though some people might think building a functioning Somali state to be at least as immune to positive human agency as altering the climate). Given the talents of the Somali diaspora and the relative calm in semi-autonomous regions of Somalia, namely Puntland and Somaliland, we should be careful about writing the country off. 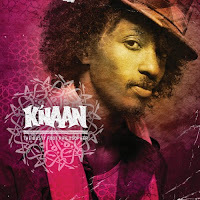 I am persuaded by the gifted rapper/singer K’naan — who was absolutely eloquent this past week on Anderson Cooper — that Somalia’s current situation is not its destiny nor how its people want to be seen. While this is a tragedy triggered by the worst drought in 60 years, it is largely about our collective failure to end the Somali civil war. … been counterproductive, alienating large parts of the Somali population and polarizing Somalia’s diverse Muslim community into “moderate” and “extremist” camps. Indeed, the open blessing of the TFG by the United States and other Western countries has perversely served to isolate the government and, at the same time, to propel cooperation among previously fractured and quarrelsome extremist groups. international efforts to impose a central government on Somalia since 2004 have not only catalyzed the re-emergence of indigenous radical groups in the Horn of Africa, but have actively sustained them. While identifying the source of blame for the current situation may not be all the productive, understanding that external meddling in Somalia’s affairs has had a destabilizing influence on the trajectory on the country’s governance is a welcome antidote to analyses that simplistically bash Somalia’s leaders for failing to get their act together. While that is surely true, that is not the whole story. Though the spillover effects of the drought and refugees may have changed the calculus of the international community, I doubt that outside actors possess sufficient will or capacity to resolve the conflict inside Somalia, but with al Shabaab discredited by its opposition to famine relief, local actors may be poised to push the country on a better path. I am just not sure who those local forces of more positive change are, particularly in the south. Even if the 9,000 African Union peacekeepers force is enhanced, the credibility of the Somali transitional government is so low that it is hard to imagine that they will take advantage of al Shabaab’s exodus from Mogadishu to assert control over the city and/or beyond. Publications by the International Crisis Group and reports by other observers of Somalia have one thing in common — it seems as if no one can quite envision a viable approach, though all recognize that Somalia will be characterized by devolution of authority on a regional, local, and clan basis. My post on governance and famine notwithstanding, parts of northern Somalia — outside of al Shabaab’s control including Somaliland and Puntland — are less affected by the drought, despite being drier parts of the country, because they have functioning semi-autonomous governments in place. On some level, this suggests a federal solution is likely to lead to a more stable Somalia, but it also raises the question, “why not support partition”? There are some ready answers that may explain why division of the country might not be desirable. The slow rate of state fragmentation in Africa, given the haphazard placement of colonial borders, has been a great source of academic debate (see Jackson and Rosberg, Herbst, Thies), with scholars suggesting that weak states are well-served by keeping borders, however problematic, as they were at independence. Revisiting weak states’ borders could be a problem for many countries across the continent. Outside actors are also likely to resist revision of sovereign borders as the process can be expected to be quite messy, necessitating the active presence of foreign peacekeepers or assistance. With Ethiopia and Eritrea having had a violent divorce and Sudan in the process of its own potentially violent cleavage into two, it is no wonder that the prospect of another Horn state partition project may be unattractive. The creation of UN and/or NATO sanctioned microstates like East Timor and Kosovo raises difficult questions about what is required for a viable state in the 21st century (Allen Buchanan’s work in this regard is very interesting). While outright statehood may be undesirable, the international community needs to offer what Dan Byman and Charles King call these “phantom states” a path to international recognition and legitimacy in exchange for better behavior. 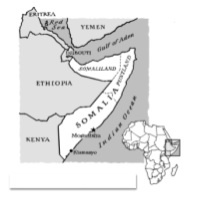 Even as Somaliland is recognized as being less affected by the current drought, the north of Somalia has been the leading source of piracy in the gulf of Aden. This doesn’t leave the international community with that many viable options. Bruton counsels against inflating the AU force, particularly from neighboring countries who are not seen as neutral to the conflict. That said, it does seem like there is some favorable momentum with al Shabaab’s departure from Mogadishu and the death of some of its senior leadership. Again, Bruton counsels on focusing on development projects, including employment programs that might provide would-be fighters with other sources of income, and local organizations for legitimacy. Efforts to resolve tensions over grazing and water rights she noted have been particularly successful. The local NGO SAACID is frequently mentioned as an effective organization that has delivered assistance, conducted garbage collection, established demobilization and demilitarization programs, among other efforts. Long before the famine, she had been advocating such a strategy of “constructive disengagement” or more provocatively still “development with regard to governance.” Such a strategy would try to do less in terms of state-building and to focus on limited goals. In the midst of the famine, this may be harder to achieve since the humanitarian needs of the situation suggests more of a foreign presence in the short-run. At root, her strategy, if it is the right one, would avoid picking local winners. Maybe the less is more approach to state building will work. As a result, famine deaths in the modern world are almost always the result of deliberate acts on the part of governing authorities. That is why widespread starvation is a crime against humanity and the leaders who abet it should be tried at the International Criminal Court (ICC). [Referencing Sudan] Some commenters warned that the warrant would make negotiating with Bashir over access for humanitarian relief in the region all the more complex. But in the case of al-Shabab such concerns appear less pressing. As the group is widely recognized as a terror organization, with its high-ranking officers already targets of U.S. drone strikes, it hardly seems likely that the international community has much to lose here. So now would be as good a time as any to set a precedent with a U.N. Security Council referral of al-Shabab’s leadership to the ICC, on the grounds of crimes against humanity by method of mass starvation. That would make clear the international community fully understands that famine is not an act of God, but an act of mass murder. While this may have some immediate appeal for those legitimately outraged by segments of al Shabab that have impeded access by relief groups in Somalia, it does not strike me as helpful and more likely to be counter-productive (for some related Duck commentary on this idea, see Alana Tiemessen’s post). We should be cautious in saying, “al-Shabaab did this; al-Shabaab said that.” There’ s no longer one al-Shabaab; you are talking of many al-Shabaabs. There are 9,000 African Union soldiers in parts of Mogadishu (though potentially more). Who would be tasked to go after these malefactors preventing aid access? In recent years, subjects have been caught by international courts long after the conflict has ended to impose the victory’s justice on Milosevic and Mladic and some of the Hutu leaders of the Rwandan genocide. While the transitional government and the AU have had some victories in recent weeks, the battle for Somalia, as J. Peter Pham argued, has not led to an al Shabaab rout, though their local support appears to be on the wane. Indeed, as Bruton argues in her various publications, international efforts to target the Islamic Courts in Somalia led to nationalist sympathies in support of more extreme groups like al Shabaab. Going after al Shabaab vigorously through some legal process might merely serve to reenergize the group. Similarly, as EJ Hogendoorn and Ben Dalton of the ICG noted, segments of al Shabaab are willing to allow aid groups through, and indeed, a number of Somali relief groups continued to provide aid even after many of the major international organizations left in the past couple of years due to violence. Trying to pursue a legal process against al Shabaab leaders in the midst of a famine seems like a careless diversion of attention from the delivery of aid to people who need it now, even if it means working with unsavory characters from al Shabaab. A first step would be to identify moderate elements of al-Shabab who have reportedly facilitated humanitarian relief. It would be important in these discussions to seek commitments to both ensuring the safety of the humanitarian aid workers and preventing or at least minimizing the diversion of food supplies to al-Shabab’s fighters. If that means negotiating with al-Shabaab, so be it. It is actually more moral to engage al-Shabaab in that than anything else, to save millions of lives. 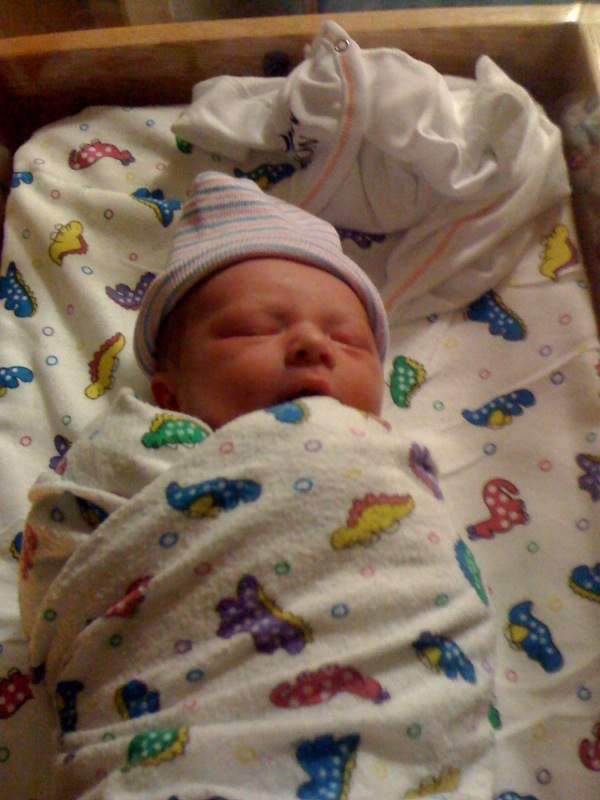 Great post, Josh, and congrats on little Guy’s arrival!